Our Dog paw “I Wuv You” cookie cutter is a great gift for dog lovers or to add to your own baking supplies. 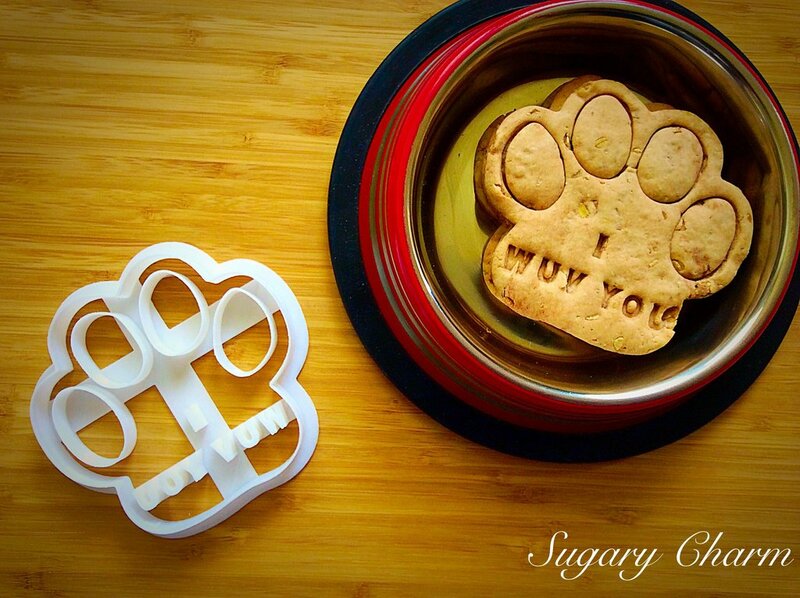 Pawz-itively adorable, our paw cutter makes cookies or homemade dog biscuits embossed with “I Wuv You”. Getting your first pet is a big step, so surprise new pooch owners by baking up a batch of paw biscuits, presented in a ceramic pet food dish. A thoughtful way to support new puppy owners!